We make every attempt to ship all orders on the same day we receive them at our Tennessee location. For US customers, the standard ground shipping services we offer typically result in packages arriving at your door within in 5-6 business days of your order. For those customers interested in expedited shipping services, we offer them for a corresponding fee. Call us at (931) 593-2300 if you have any additional shipping-related questions. Can you ship your products to my state? Our products are made with industrial hemp in accordance with Tennessee law and the provisions of Section 7606 of the 2014 Farm Bill. This allows us to ship our products to all 50 states without a prescription. Can I modify an order I’ve just placed? The best way to ensure that any changes to your existing orders get properly implemented is to call us at (931) 593-2300 as soon as possible after you have placed the order. If we’ve already shipped out your products, we will guide you through our Returned Merchandise Authorization (RMA) process. Do you provide a warranty for your products? We offer a 30-day Money Back Guarantee on every product we offer. If you are dissatisfied with your purchase for any reason, you can exchange it for an alternative or receive a full refund. If you purchased our products directly from our website, please call us at (931) 593-2300 within 30 days of your purchase date. We will email you an appropriate shipping label. 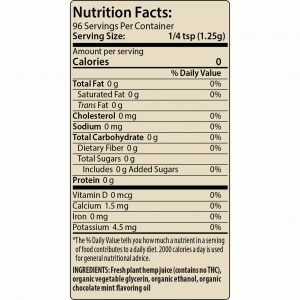 Just print out the label, place it on the package and ship it to us at no cost to you. We’ll generate your refund once we’ve received the product (minus any restocking fees), and notify you of the transaction via email. If you purchased our product from a store or holistic health professional, please contact them directly to execute any returns or exchanges. We currently offer payments via traditional credit card, electronic check, and an innovative process called Genie. 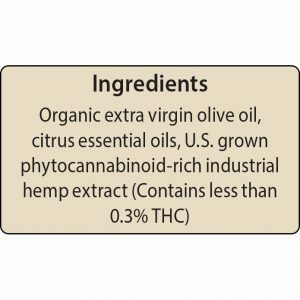 What is the difference among your various hemp products? Our various Hemp Extracts (Transdermal, Chocolate Mint Flavored, Wild Berry Flavored, and Unflavored) all derive from common harvesting and manufacturing processes that includes hand extracting hemp in Organic Extra Virgin Olive Oil. The main difference among these specific products stems from the various organic oils we blend in to meet our customers’ individual flavoring or aromatic preferences. We use entirely different processes to harvest and manufacture our Colloidal Hemp Terpene (CHT) products (Chocolate Mint Flavored and Unflavored). This primarily derives from the decades of experience that Dr. Davis possesses working with freshly harvested herbs to generate highly bioactive products which are typically identified by their colloidal content. For a deeper explanation from Dr. Davis on the benefits of colloids, please click this link. In addition to a higher colloidal content, our freshly-harvested process is able to capture a greater portion of the roughly 140 terpenes potentially found in industrial hemp plant before they oxidize into terpenoids. Individual terpenes possess their own therapeutic characteristics but they also provide synergistic effects when interacting with cannabinoids. This is why we encourage customers to consider protocols that include both our extract and CHT products. Why should I open an account with HeavenSentHemp™? While you can certainly purchase our products without opening an account, doing so will provide you the ability to preserve shipping addresses, review your order history, and enter product reviews. In the near future you will also be able to generate loyalty points and gain subscription discounts. To register for an account, please link here. We periodically send emails to our subscribers with notifications of new products, special promotions, digital downloads or newsworthy items. If you’re interested in signing up, please scroll to the bottom of our website’s home page and enter your preferred email address. You can also subscribe when creating an account or within your customer account dashboard. To unsubscribe, go to your customer account dashboard and uncheck the “General Subscription” box. 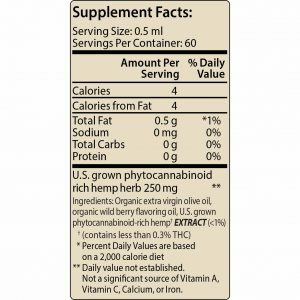 Is your hemp extract the same as CBD oil? Cannabidiol (CBD) oil has become very popular subject as more people come to learn about the therapeutic effects of this compound. What may be not so clearly understood is that CBD is just one of nearly 500 phytochemicals discovered so far in the cannabis plant. Researchers have discovered that these compounds interact synergistically within the human Endocannabinoid System (ECS), creating what many refer to as the “entourage effect”. A recent landmark Israeli study definitively proved that whole-plant phytocannabinoid-rich cannabis extract provides superior therapeutic properties compared to isolated CBD. Our manufacturing process not only utilizes the whole plant, our decades of experience using hand extraction helps to produce the most highly bioactive products in the industry. 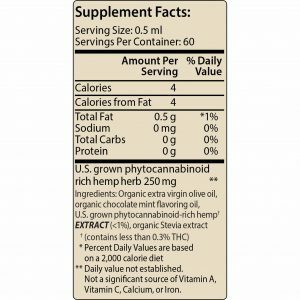 Hemp plant matter has an incredibly rich array of nutritional and healing compounds, including hydrocarbons, sugars and starches, amines and amides, fatty acids, phenolics and flavonoids, terpenes and terpenoids, phytocannabinoids, proteins and enzymes, along with multiple miscellaneous phytochemicals. A whole-plant extract consists of the total amount of phytochemicals that have been extracted from the plant and blended with a “carrier matrix”. Each ½ ml dose of our extracts contains 250 mg of hemp plant material suspended in organic extra virgin olive oil. For decades, Dr. Davis has worked used only organic and wildcrafted herbs and flower essences to produce the highest quality products available. We recognize the increasing discrimination of consumers within the cannabis products marketplace and are now in the process of certifying both our farm and nearby manufacturing facility to be USDA organic. In addition to our focus on quality and accountability, our experience with producing highly bioactive herbal products has led us to integrate biodynamic farming practices where appropriate. Please visit our Quality Control page for a deeper discussion of our approach to this subject. According to Wikipedia, cannabinoids represent one of a class of diverse chemical compounds that act on cannabinoid receptors in the cells that alter neurotransmitter release in the brain. For a more detailed discussion of cannabinoids, along with many other aspects of hemp’s therapeutic characteristics, please sign up to download our whitepaper, “Understanding the Complexity of Healing Hemp”. HeavenSent Hemp’s products are rich in cannabinoids, along with many of the other compounds discussed in our whitepaper. Project CBD provides an excellent discussion on the Endocannabinoid system, a massive, complex network of cell receptors possessed by all mammalian creatures. It is now generally recognized that cannabis-supplied phytochemicals have the ability to leverage this system to modulate other physiological systems with in the human body. Please sign up to download our whitepaper, “Understanding the Complexity of Healing Hemp to gain a deeper understanding of the ECS and its interactions with the cannabis plant. The term Ensemble Effect is increasingly being used to identify the phenomena observed when full-spectrum hemp interacts with humans and animals. The Project CBD discussion on this subject includes a quote from Dr. John McPartland, who describes cannabis as “polypharmaceutical”. Dr. McPartland goes on to observe that “synergy arises from interactions between and among the multiple components of cannabis”. The term Ensemble more accurately pays respect to these synergies in the way than a group of musicians cooperating together create synergies that exceed the impact of any single musician. We believe that the whole-plant and highly bioactive nature of our HeavenSent products provide an excellent basis for initiating the Entourage Effect. Cannabidiol, or CBD for short, is one of many non-psychoactive phytocannabinoid found in cannabis plants. Please sign up to download our whitepaper, “Understanding the Complexity of Healing Hemp to gain a deeper understanding of CBD and how it helps to generate therapeutic effects in humans and animals. How do Hemp Oil or CBD Oil differ from Hemp Extract? The term “Hemp Extract” emerged as a way to help diminish confusion that occurred as more people sought take advantage of the therapeutic characteristics of the cannabis plant. Within the rapidly changing legal landscape surrounding cannabis, the terms “Hemp Oil” and “CBD Oil” were increasingly overlapping. Hemp Oil refers to the products that result when the seeds of the hemp plant are pressed. It is rich in dietary fats and typically used for nutritional purposes (cooking, salad dressing, etc.). In contrast, the term CBD Oil was used to identify products rich in the popular compound that seemed to address so many physical afflictions. The unfortunate consequence of this usage was the lack of clarity as to the product’s actual source (hemp, marijuana, or some combination thereof). We at HeavenSent Hemp were able to witness the confusion first hand in our home state of Tennessee as Operation Candy Crush resulted in the inappropriate closure of nearly two dozen stores selling Hemp-derived CBD products. Along with other leaders in the industry, we chose to label our products with the term “Hemp Extract” to reinforce their therapeutic focus, their whole plant makeup, and their origins from legal industrial hemp. Will your products make me fail a drug test? Our whole-plant hemp extracts contain miniscule levels of naturally-occurring Delta 9 Tetrahydrocannabinol (THC), a key compound focused on by many drug testing regimens. The odds of a person of average health failing a drug test are extremely low, particularly if they take the products as directed. However, we’ve observed circumstances where a person’s metabolic anomalies combined with abnormally high dosages have triggered a positive drug test result. If you have concern in this arena, please consult with your physician and/or employer. 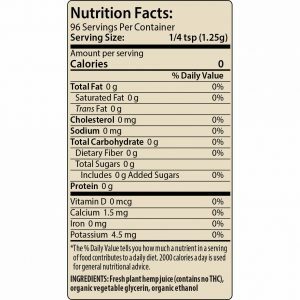 What is the shelf life on HeavenSentHemp™ products? Each bottle of HeavenSentHemp™ products is labeled with a unique Batch ID and an expiration date. The typical shelf life of our products is about 18 months, which is the standard time interval associated with organic extra virgin olive oil, the primary matrix we use for extraction. For a further discussion of our quality control processes, please click here. How can I sell your products in my store or practice? Please link to our Wholesale Signup page to start the application process. We’ll contact you to ensure any questions or issues surrounding the sale of our products are fully addressed. How do I know if your products are pure?